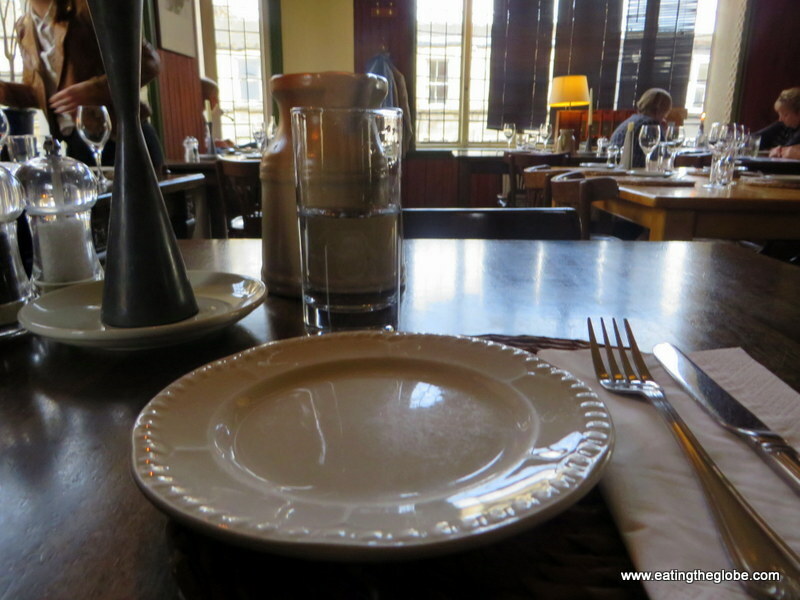 I was asked to review La P’tite Folie, a French restaurant, while I was in Edinburgh, Scotland. I had a good meal, but I definitely think there is room for improvement in certain areas. The atmosphere is nice and the dining room is full of light and promise. 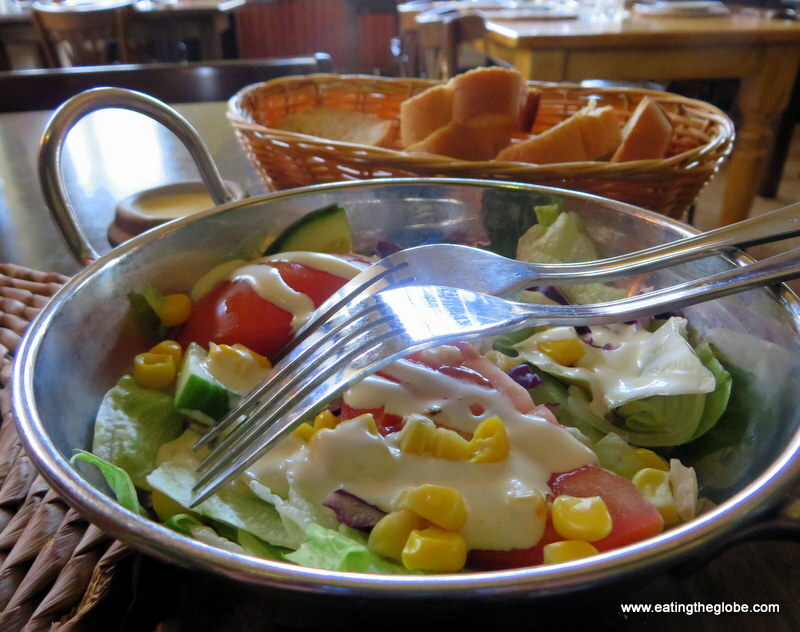 However, the real promise of a restaurant lies in the first bite of food that you put in your mouth, and I have to say I was underwhelmed with the limp salad that used packaged lettuce that was put on the table when I arrived. Also, the quality of the bread was just terrible. I would expect nothing but the best bread from a French restaurant, and this was no crackly baguette, in fact, it wasn’t even crusty. Fortunately, things did improve. 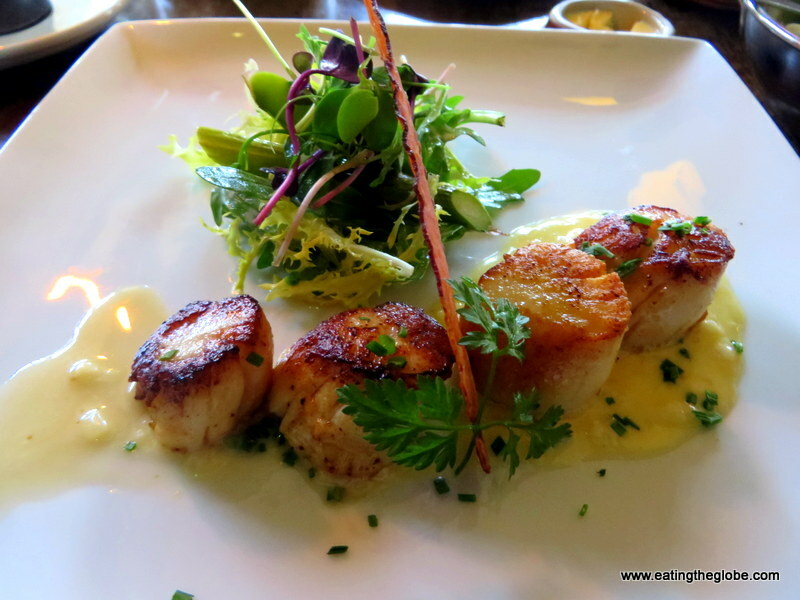 I ordered the scallops for a starter, and they were cooked to absolute perfection. The shallot beurre blanc and the asparagus set off the scallops nicely, and I was glad that the first few bites of my meal weren’t an indication of the courses to follow. The main course was flawless. 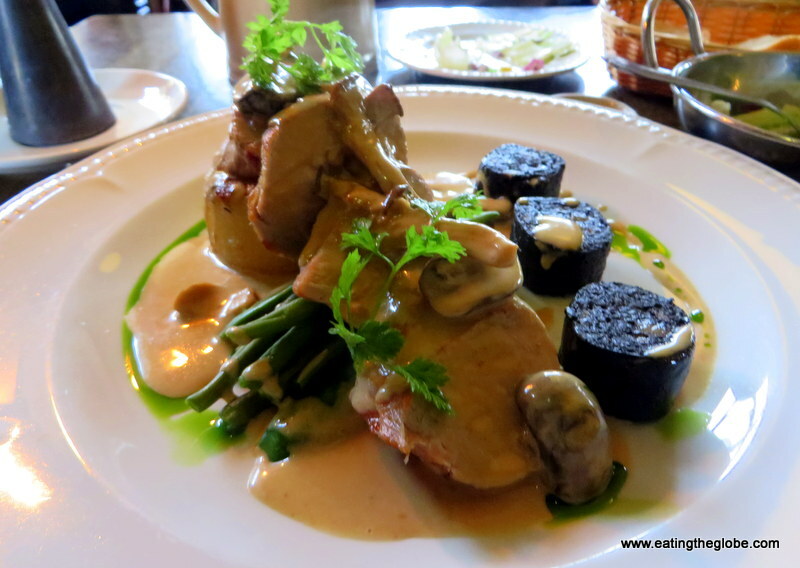 I had roasted pork with a mushroom and cider sauce and boudin noir (blood sausage). I swear between this and all the black pudding I’ve eaten in Scotland, I’m starting to look like a vampire, but this was some really good boudin noir. The main course just spelled out comfort and with the chilly Scotland weather was a perfect choice. I ended with the sticky toffee pudding that was paired with vanilla ice cream. This is one of my all-time favorite desserts and they did it well. I wish I had stopped there, but I ordered a flat white to end the meal with. The coffee was so bitter, I could barely drink it. Seriously, with all the local roasters in Edinburgh, you would think La P’tite Folie would have some decent coffee. It was actually the only bad cup of coffee that I’ve had in Edinburgh, and that was disappointing. It was strange to have such a perfect meal, but to have both my first and last tastes of my meal be so terrible. The service was excellent, the meal was excellent. Just skip the salad, the bread, and the coffee, and you’ll do OK.